Trivial Pursuit leads men mad. Sure, it’s easy enough to get the Orange “Sports” pie slice. Random history learned in the fourth grade can net you the yellow slice but you’re still four away from victory. Plus, unless lightning strikes and Teddy Roosevelt appears with big stick in hand, it’s impossible to answer the Pink slice – “Entertainment.” Really, it should be re-branded as “Slice of Un-American Entertainment” and denounced for the pinko card-carrying it is. Fortunately, there’s now one slice that you’ll be able to answer – Blue. Geography. Because this slice will inevitably lead to the question of which state is also a country. And you’ll know – because you drink wine and remember Ty Cobb as the “Georgia Peach” from your Orange pie slice glory days. Enter the country of Georgia. 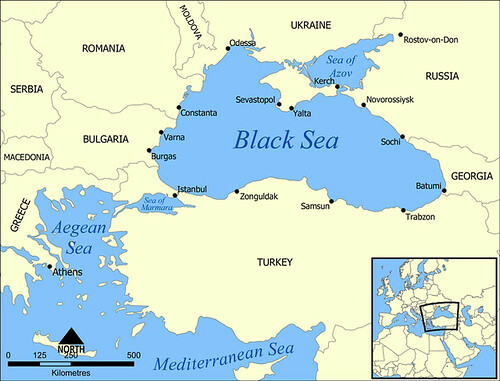 Nestled against the soothing belly of Mother Bear Russia and topping Turkey, that land of many grape vines (3X as many as South Africa!) and notably few wines (sigh…. ), this is a country. Not a country of ______ or a country known for _______. Just a country – and that’s enough because it’s had a hard enough time attaining even that title. 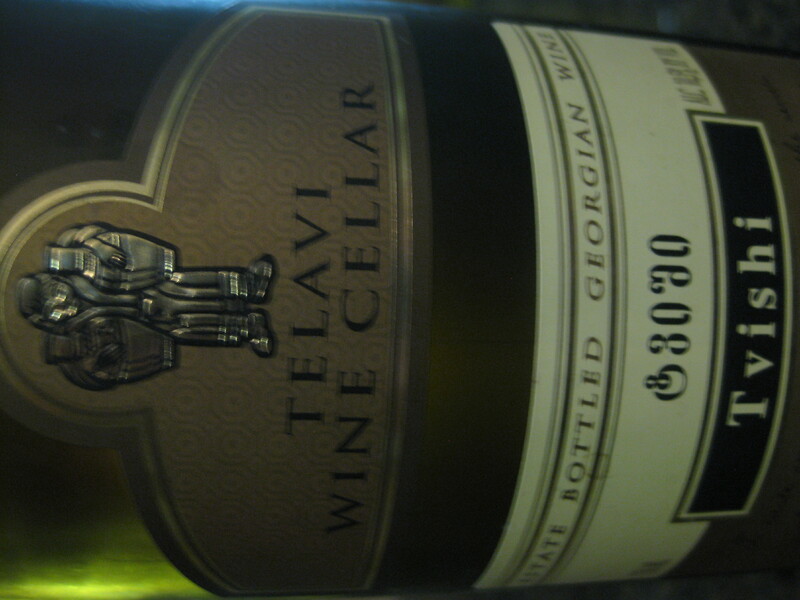 On top of that, Georgia is a country that makes wine from its grapes, like Russia and unlike Turkey. You’ll be a better man than I (more likely to garner the Pink pie slice for sure), if you know this grape name. In fact, I’d buy you a pie if you can pronounce it. Tis-so-lih-cow-ri? Who knows? Who would confirm it? Georgians will confirm it and they’re out in the tweeter-verse. They’ll tell you Tsolikauri is one of the most planted grapes in the country in a country has grown wine for over 8,000 years (not a typo). They’ll tell you it’s one of the highest quality grapes the country offers out of the more than 400 grapes it grows. They just won’t tell you that it was one of Stalin’s favorites because then they’d have to explain that Stalin was born in Georgia and that gets awkward because you already have your yellow pie slice and you know he killed lots of people. Not over wine or anything but still. It’s awkward. 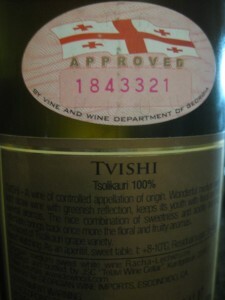 The taste of Tsolikauri is pretty much different and different in a really good way from other wines this wino has tried. We’re talking peach with a sweet smell (ok, kinda similar), medium body with medium sweetness (still kinda the same) but then there’s the difference. 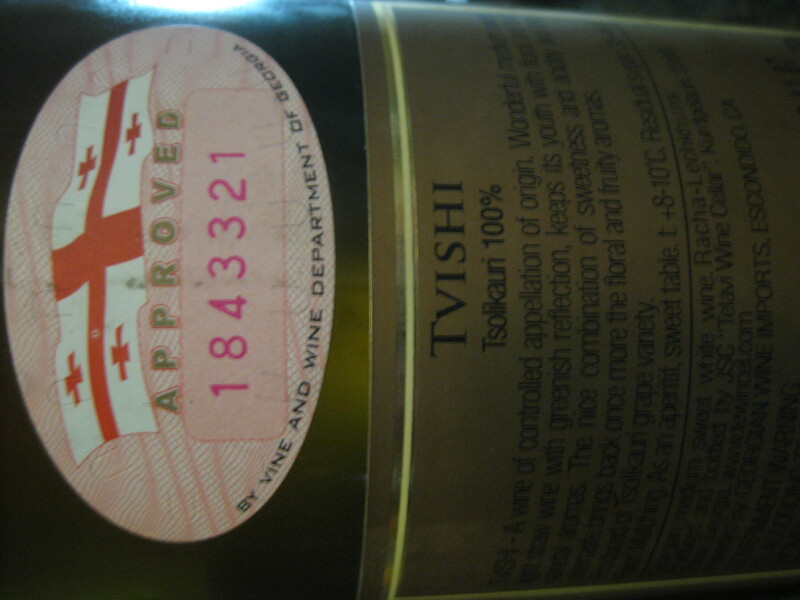 This Tsolikauri seems like it’d be high alcohol since it’s riding around your mouth in a go-kart made from white port and summer riesling. You’re thinking it’s going down in high-alcohol infused blue flame but no – this wine brakes and clock in at only 10.5% alcohol. Slow, long victory lap featuring more peach and cries of joy ensue from the audience ensue. 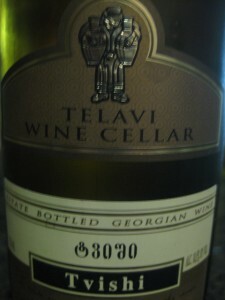 Marani 2005 of the Tvishi controlled appellation made in Racha-Lechkhumi region in Georgia – for a 2005 white, this bottle (surprisingly) had plenty of life too. Italy is my Mount McKinley. I know I’ll never climb it and won’t ever have the view from the top looking down across the rest of the North American molehills. Most of the time it’s not even possible to see the top (only 10% of visitors to Alaska actually see it), let alone think what it’d be like to stand at the top of it. But on rare days, the clouds part and you can see the top of the mountain, what its side looks like and start to imagine what a model of it would look like. Yes, my parents just got back from Alaska and have lots of stories to share – especially about Mt. McKinley/Denali. Italy is exactly that intimidating and obfuscated. Somewhere out there experts on Italy’s wines must exist but I’ve never met anyone who dares to claim that they’re an expert on Italian wines. That’s just outrageous given the hundreds of grapes grown around the country. Provinces, territories, and little towns all seem to have their own type of wine and grape that’s just grown in that area. Wikipedia talks about 350 “authorized” grapes used in Italy’s wines and estimates another 500 grapes are unauthorized. No doubt each of those grapes has a history and culture associated with it, and it’d be many lifetimes to really conquer all that knowledge. Two of NYC’s more famous chefs have written a book on it and lived a good amount of wine indulging so maybe they’re experts. Me though, I’m just happen to get a look at the mountain on a clear day once in awhile. Today’s glimpse of McKinely is Negroamaro, a dark grape that comes pretty much exclusively from Puglia, the heel of Italy. Negroamaro showed up at a tasting of Puglia wines last weekend with my friends the Zapatos and a recent NY friend transplant who hails from Puglia, but sadly I did not show up at that same tasting. Friday night firedrills got the better of me so the Zapatos & Co. got all the Puglia pleasure pours. To grieve the lost Friday, this bottle was later ordered with friends to commemorate the night of Puglia. Turns out – Negroamaro is not just a Puglian wine, it’s a new grape to me, and one that only the Puglians make. (Puglians? Pugliers? Pugilists? No idea) Earthy, rustic, and unknown – those are the words that I turned up the most looking through the internets. 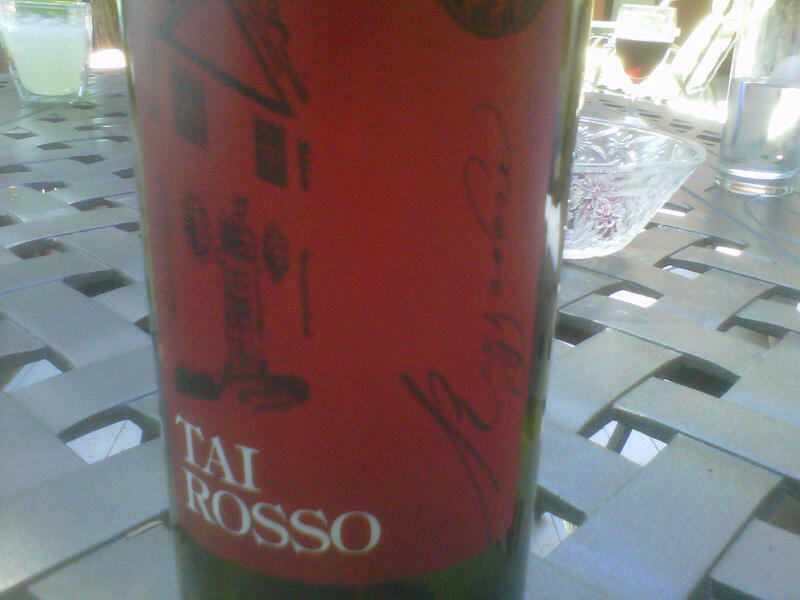 Best I can tell, it’s only in Puglia that people grown this wine but they make a lot of it down there. Primitivo (Italy’s Zin) takes some of the vines but Negroamaro is the Yankees in Puglia, and Primitivo is at best the Mets. Not that it’s bankrupt and finally at a break-even .500 winning percentage or anything – it’s just that it’s not as prevalent as the ubiquitous Negroamaro hats that all the celebrities wear in Puglia. No photo from me – just the notes scribbled on the crackberry before the food arrived and the wine disappeared. Strong nose, tobacco – taste of raspberry and black cherry, long finish with some tannins, not overpowering. Squid ink – guaranteed to spill on white shirts. Rocca Bella 2009 IGT from Puglia, Italy for $8-12. Sadly, nobody on the web has talked about this wine and the producer has no pics so next best thing is this really good blog that hits the 2007 version. * Puglia Pride runs deep with this guy – check out his Top 10 Negroamaro list if you like your wines squiddy. * Negroamaro doubles as an Italian rock band that’s gaining mainstream popularity. Any guess where they’re from? * Salice Salentino is Puglia’s most famous wine they say, and it’s a blend with mostly Negroamaro. Good value wine too.